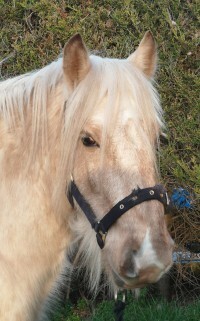 Moomin is now looking for a home as a youngster for handling. Moomin would benefit from being in a home where she will be handled on a regular basis, and with someone who has the experience to bring her on. She is good to handle in and out of the stable, and to groom, but she can have her cheeky, youngster moments. She gets on very well with other ponies, and is currently living out. 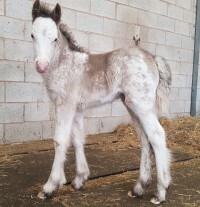 Moomin has potential to become a nice little ridden pony once she is old enough. She is good for the vet and farrier. We estimate that Moomin will mature at approximately 13.2-14HH. If you are interested in rehoming Moomin, please apply online. Moomin is a friendly, loveable little character. Moomin was born at Penny Farm on the 11th March 2018, after her mum came in as part of a welfare case.